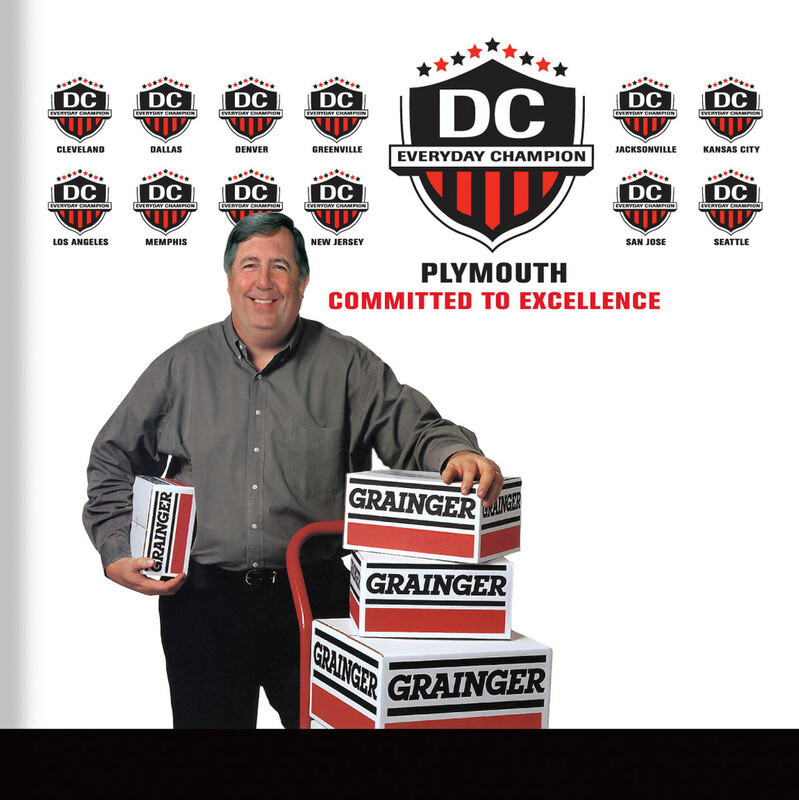 Grainger celebrates the "Everyday Champions" throughout its nationwide distribution network who work to get the job done for customers every day. 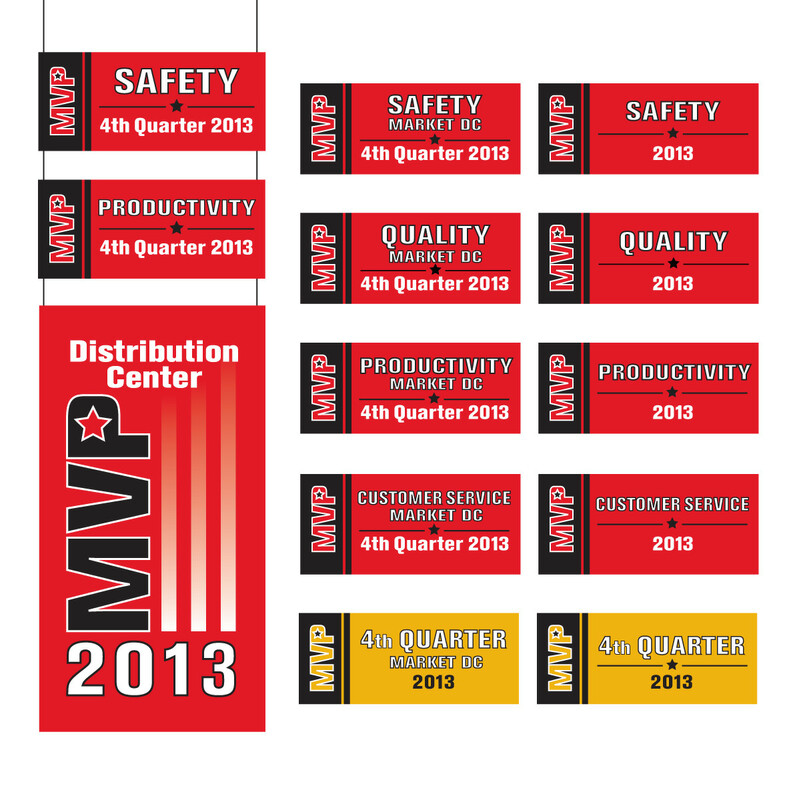 The program consists of quarterly awards for a variety of performance matrices. 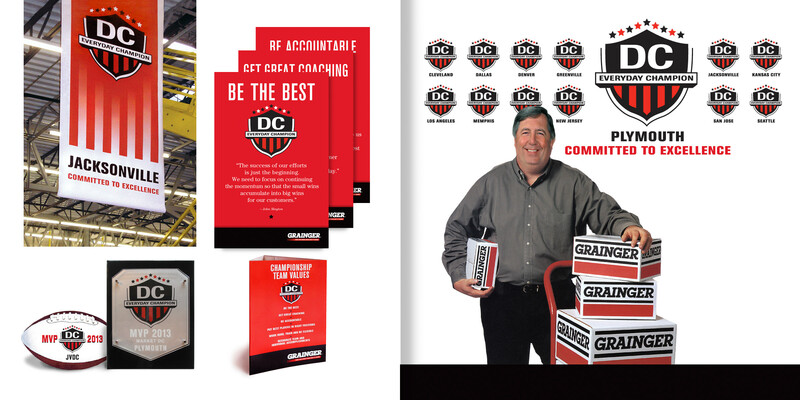 We designed the program's branded look and feel to express the spirit of the workforce. 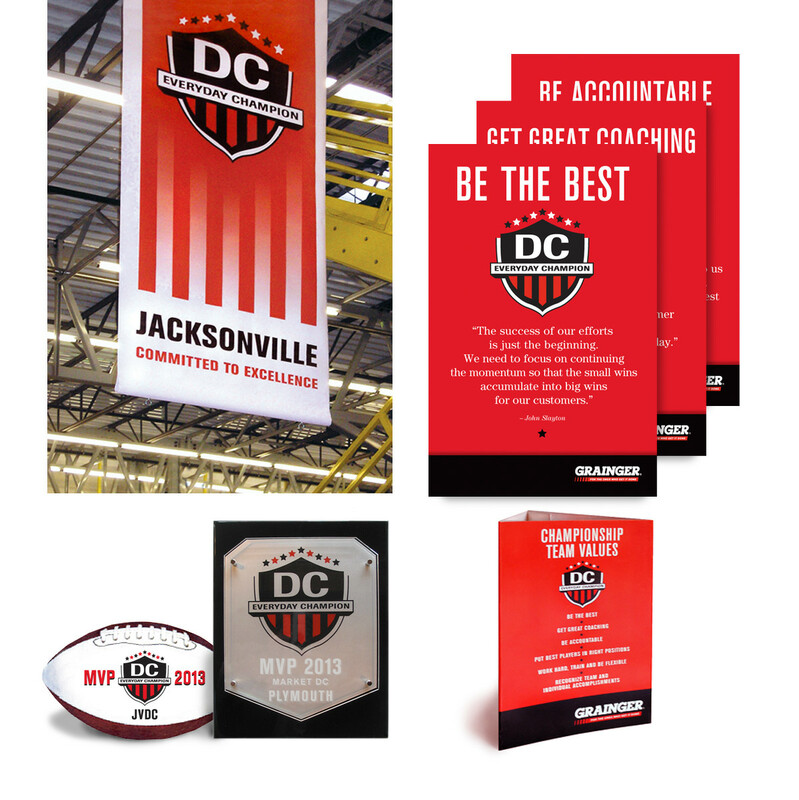 We design, produce and manage all of the collateral from concept to implementation on a quarterly basis.